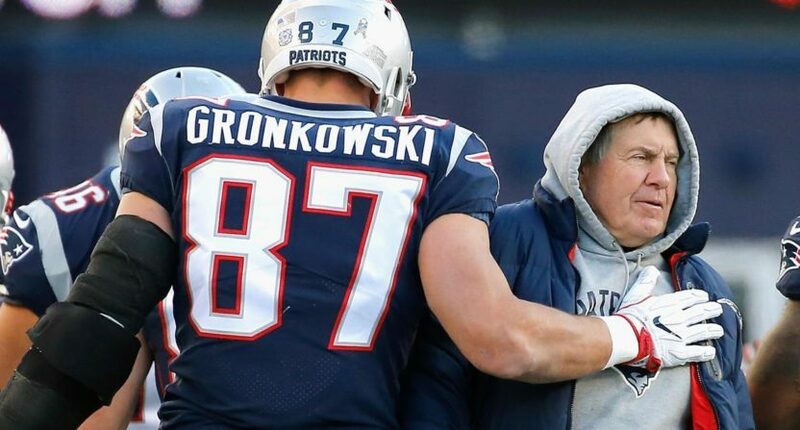 (SP) – A rift has reportedly developed between Patriots head coach Bill Belichick and Rob Gronkowski, after Belichick banned his star tight end’s imaginary friend from the team locker room. Sources close to the Patriots confirmed today that Belichick informed Gronkowski that Funny Pete was no longer welcome in the team facility, saying that the imaginary friend was a “distraction.” The move comes days after Belichick banned Tom Brady’s personal trainer. Gronkowski admitted he was upset by the decision. The tight end says his imaginary friend keeps him loose, which makes him a better player on the field. Belichick would not offer much comment on his decision.